Time for a satisfying bowl of pasta like this one? For the last few weeks, we’ve been taking advantage of as much dry weather and daylight as we can before ‘real’ autumnal weather hits Wales. In addition to the usual things we do at this time of year, we’ve been harvesting our leek crop early, because it has been devastated by some pest, and it is clear we won’t be able to leave the plants in the ground to use throughout the winter. They just won’t survive. So I’ve spent a fair number of hours cleaning and chopping leeks for the freezer, and occasionally remembering that it’s okay to eat them fresh. Today’s recipe takes about 15 minutes flat to prepare, including boiling water in the kettle, and as usual, uses food I happened to have on hand. Boil pasta for 8-10 minutes, or according to package directions. Meanwhile, steam leeks with a tablespoon of water in the microwave on high power for 2 minutes. Drain any excess liquid and cook for 2 more minutes. Drizzle with olive oil, season as desired now or add to individual bowls later. Add leeks and toss gently. 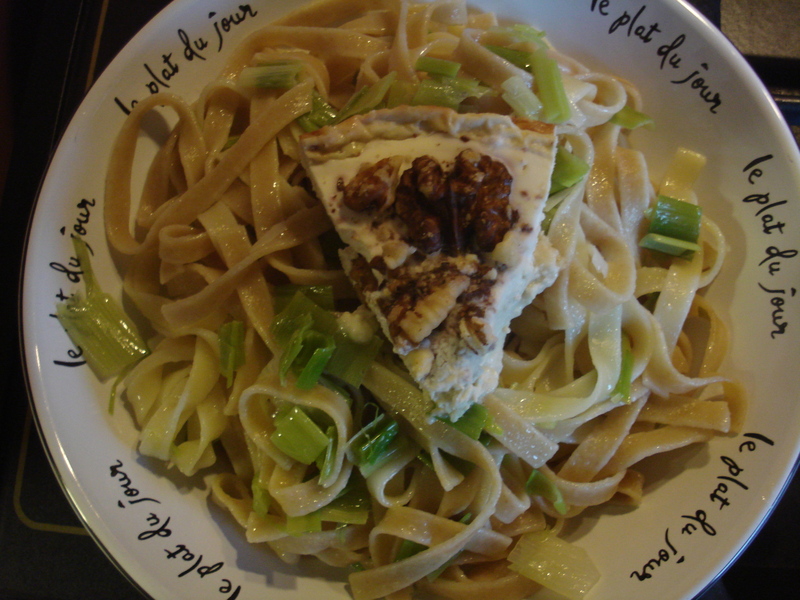 The (crustless) cheesecake will collapse and melt into the pasta, not quite becoming sauce-like. Yum! 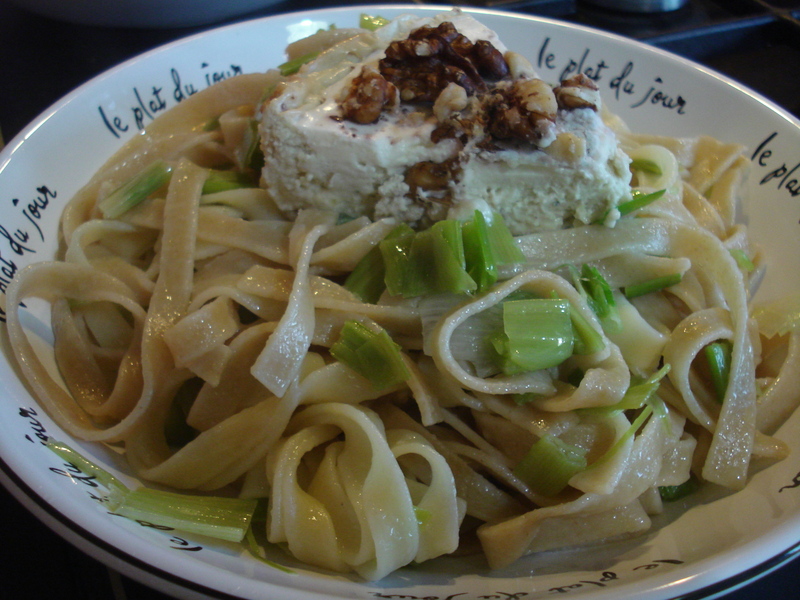 Looks great – never thought of it before but leeks are just made to go with tagliatelle!